Belgium head coach Roberto Martinez says forward Romelu Lukaku will miss their opening European Qualifier against Russia with a foot injury. 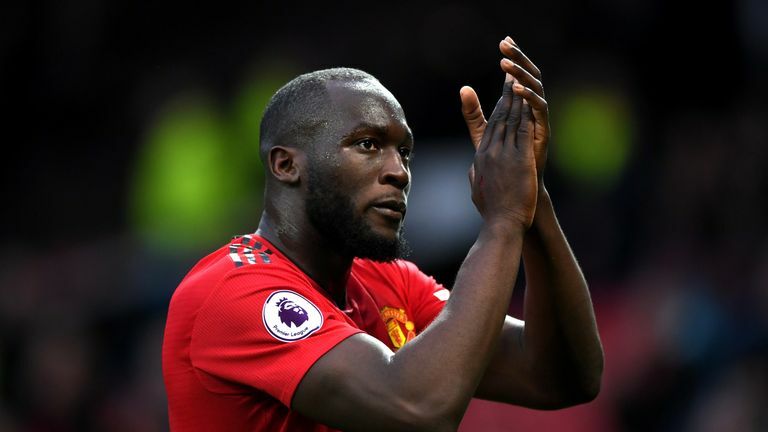 Lukaku missed Manchester United's FA Cup quarter-final defeat to Wolves on Sunday and will not recover in time for Thursday's opening Euro 2020 qualifier. Martinez though has not ruled Lukaku out of playing a part in their second match vs Cyprus on Sunday. He said: "The relationship with Manchester United is very close. The only thing that matters is Romelu [Lukaku] is fully fit. "We want him fit but it has to be in the right way. We've been happy with his progress but at the minute he is still unavailable. "He is a player that has not been discovered overnight. He has been scoring goals since 16. He is already the top goalscorers in the history of Belgium football. Goalscorers will go through good and bad spells but he is history in Belgium football. "He has to be fully fit though like any other player. We wouldn't take a risk with any player on the pitch." Belgium have been drawn in Group I in their Euro 2020 qualifiers and will face Russia, Cyprus, Scotland, Kazakhstan and San Marino for a place at next year's tournament. Their opening match with Russia is live on Sky Sports Premier League and Sky Sports Mix from 19.40 on Thursday night.